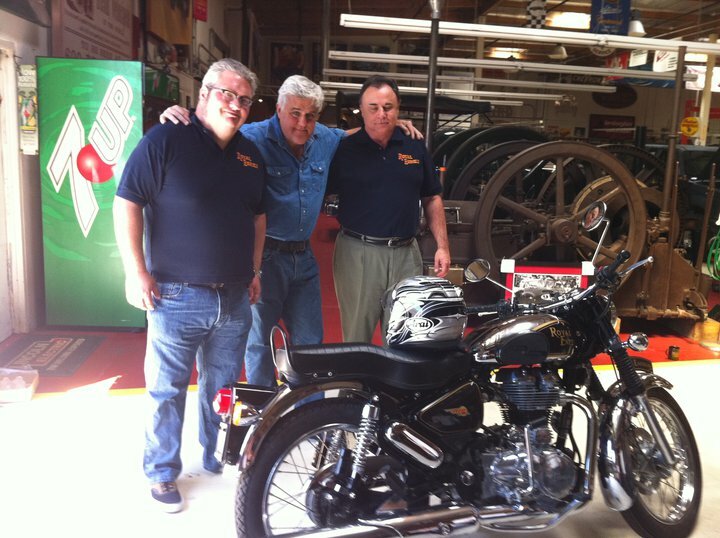 A Royal Enfield Bullet G5 Deluxe is Jay Leno’s latest ride! Iconic to innocuous, American TV Host and celebrity Jay Leno has seen it all when it comes to automobiles, so much so that Mr Leno’s garage plays host to a diverse set of wheels ranging from an antique Bentley to the outrageous Y2K Jet powered motorcycle. It appears that nobody can escape a Bullet, not even Jay Leno as NoHo Scooters of North Hollywood delivered a spanking new 2011 Royal Enfield Bullet G5 Deluxe. This motorcycle isn’t too different from what Indian bulleteers get here in India with the same 500cc unit construction engine and most part of the frame being used in the Classic 500 and the Royal Enfield Electra UCE. 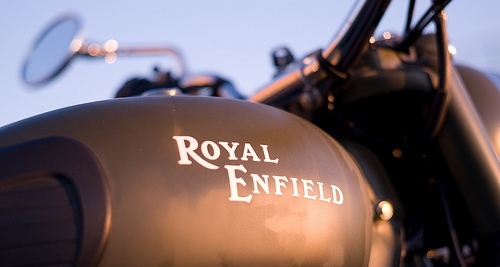 With an American icon like Jay Leno buying an Indian icon, the Royal Enfield Bullet, the Bullet’s growing popularity in the United States is expected to only soar in the coming days. Meanwhile, the Royal Enfield Bullet models with the 500cc UCE engine has been well accepted in the export markets of America, the United Kingdom and elsewhere as the Royal Enfield is proving to be a reliable steed that is pretty frugal too compared to other larger capacity motorcycles. Consequently, there has been a growing interest amongst motorcycle buyers in both the export as well as the home market with the Royal Enfield factory in Chennai struggling to meet the ever increasing demand.